Planning a retirement abroad? Well, you are definitely not the only one. With a hectic work schedule dictating our lives, the idea of retiring abroad in an idyllic location has become undeniably appealing. While it’s amazing to see your dreams come true, packing up your life and moving to a foreign country is not an easy feat. Though there are several things you need to keep in mind before making the big move, reviewing the financial implications is of paramount importance. Here is a checklist of five things you must know before setting off to an exotic location. Taxation is a very important point to consider when moving abroad. You need to remember that you can’t avoid paying taxes back home, in most cases, just because you have retired to a foreign country. You may need to file your income tax returns on a regular basis even if you transfer all your assets from your home country to the new country. This can turn out to be a huge burden for you since you may have to pay taxes in two countries. Hence, it is important to get local tax advice in the country where you’re planning to move before you take up residence. You can also check out the website, International Living, as it offers a lot of information for people who are looking to move abroad. Make sure you thoroughly investigate a country’s tax laws and any arrangements that country has with your home country. Retirement benefits are an important source of income for many retirees, and it’s important you safeguard your life’s savings. Hence, it is important to be aware of the implications that retiring abroad might have on your retirement benefits. In most cases, expats can take their income from retirement benefits through bank to bank transfers or cheques. However, retirement benefits cannot be sent to countries such as Cuba, North Korea, Ukraine, Moldova, Kazakhstan and Georgia. It is advisable to hire a financial advisor to find out the implications retiring abroad will have on your retirement benefits. It may not be a good idea to get all your assets moved from your home country to the new country of residence. If you need to transfer assets, just transfer a some of them and not all until you receive advice from a financial planner. You may need to keep some money in your home country in case you run into financial troubles while residing in a foreign country. Maintaining just one bank account back in your home country is what you’ll need to consider even though you may shift base to another country post retirement. 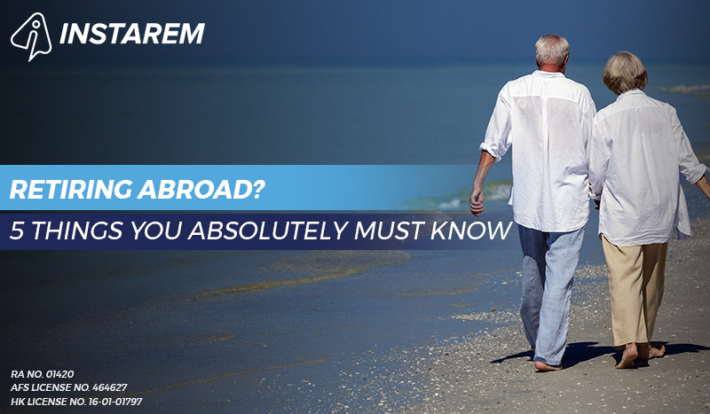 If you plan to retire abroad, it’s important that you know about the process of gaining residency in the new country. Every country has its own residency regulations, which you will have to take into consideration prior to moving abroad. When you retire, you don’t get to enjoy a fixed source of income, and there are some countries in the world that grant you permanent residency only on the basis of the amount of money that you earn every month. When you retire, you are going to have to rely only on your savings to keep yourself going, and this can prove to be a problem from diplomatic point of view. While some countries, such as Switzerland, make it extremely difficult for foreigners to gain full-time residency; others, such as Panama, are exceptionally flexible when it comes to wooing foreigners to retire within their borders. Once you retire abroad, claiming medical insurance from an insurance company in your home country can turn out to be difficult. You will have to instead rely on the medical insurance provided in your country of base, and as a permanent resident or foreigner, it might also be difficult for you to claim insurance money out there. Healthcare is becoming increasingly expensive with every passing day, and once you move abroad and retire there, you might not be able to access the benefits offered by the insurance company in your home country. Thus, while moving out of your home country can be a wonderful thing to do at a young age, you will have to decide for yourself based on the factors mentioned above, whether this can turn out to be the right decision for you eventually. So, researching about all these points is a must before you move out of your home country.